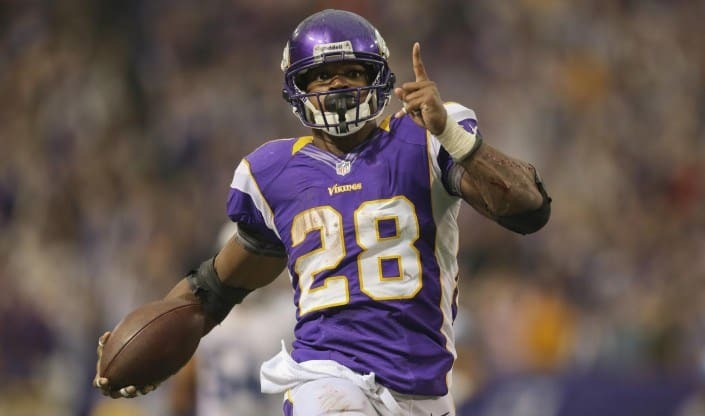 Welcome to RotoJuke’s Fanduel NFL Fantasy Football Strategy Guide! This is a comprehensive rundown of how Fanduel scoring works and what you need to know each week in order to build a high scoring, highly profitable lineup. This guide is over 3,000 words long so be prepared to jot down notes and bookmark this page for future reference. If you need help with a specific position, then use the legend below to jump to a specific section. New to Fanduel? Watch This Video First! Use our Fanduel Promo Code to get a 100% deposit bonus as a new player. In order to win at Fanduel fantasy football, you need a comprehensive understanding of the scoring system, how to pick players in great matchups, discovering value plays, and avoiding mistakes that your competitors will make. FanDuel requires that you start one quarterback, two running backs, three wide receivers, one tight end, one kicker, and one defense. There’s no flex position like DraftKings. Therefore, there’s no need to compare players at different positions. You simply want to find the best values at each spot. The Fanduel Scoring system is completely unique so we will discuss every aspect of it so you feel comfortable building your lineups. When you look for value players, you will be able to use the scoring system to determine if you want to spend up or down at a certain position. 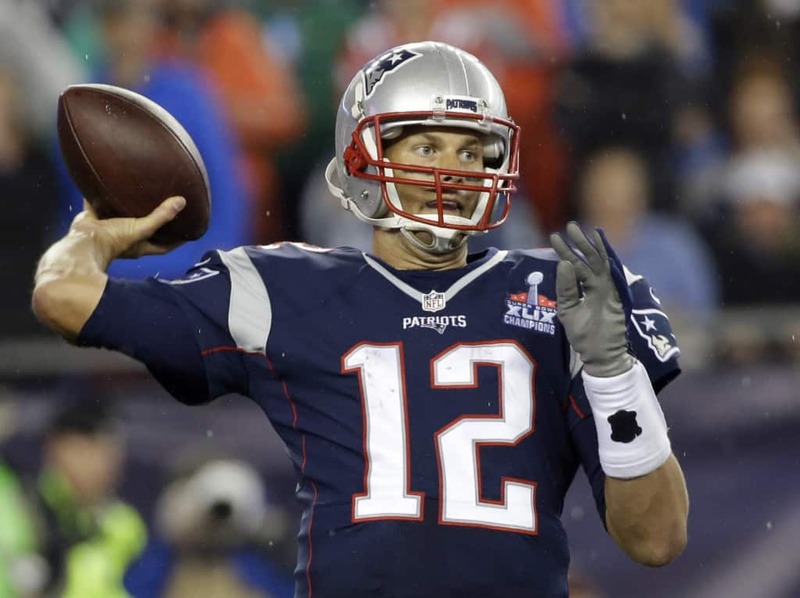 I’m going to start with the first position available in your Fanduel lineup: Quarterbacks. Hopefully, you will gain a better understanding of how to choose players as I cover each position. Should I spend up or down at Quarterback? Looking at the data below, I think it makes sense to spend a little bit more at QB if you want to post 30 points or more at your QB position. Note: I left out rushing yards and INTs to keep things simple. These stats are harder to predict anyway. The highest scoring Fanduel QB so far this season costs at least $7400 in salary. 300+ yards and 3 tds are the most common performance for a high scoring QB. How do we find these QBs? Let’s break down the QB scoring system then find ways to predict high scoring QB plays. Quarterbacks receive .04 pts per yard or 1 point per 25 yards passing. There are no bonus points award for 300+ yards passing if you are familiar with DraftKings. This decreases the value of passing Quarterbacks a bit, but does make potential 350 yards/3 tds passers very intriguing. You want to target QBs who can throw for at least 350+ yards plus. More yards will usually equal more touchdowns, but it’s harder to predict when a receiver will score. 100 yards passing is equal to a passing TD, but so far this NFL season all highest scoring QBs threw for at least 3 tds in a game. This key information will help you avoid crucial mistakes in QB selection. Only play QBs with 3 tds or more upside. Losing 1 point per interception is so small that I wouldn’t worry too much about it when choosing QBs. a 25 yard will easily make up for a mistake. If you want to be extra cautious, then take a look at NFL Passing stats to see who has throw the fewest INTs in the league. Looking at data so far this year, I think it’s risky to target QBs who run a lot like Cam Newton and Tyrod Taylor. The reason is you desperately need them to score rushing TDs since they don’t carry 3 passing TD upside every week. If they fail to score, then you really hurt yourself at the QB position when a more safer QB with a high passing volume would provide a better ROI. Running QBs perform better on DraftKIngs because of the rushing bonuses and different scoring system. Ok, so now we are looking for QBs who can throw for 350+ yards and 3+ tds. How do we find these players? Home games are the best situation for quarterbacks. The highest scoring QB for every week so far played in a home game against a beatable pass coverage. Choose good QBs at home with potential for upside. It’s a simple stat that will help you a lot. Go to ESPN.com’s NFL Passing stats to sort QBs by average yards per game. If you find a QB in a game with a high vegas total, then check his Passing yards per attempt to uncover some hidden value plays. Some QBs may throw a lot, but each completion won’t soar you up in the leaderboard. Finally, I check Rotoguru for Fanduel Points Allowed to QBs to see which QB will get a great matchup for each week. Running backs are becoming a lost art in today’s modern day NFL where it’s normal for QBs to throw for 300 yards per game. However, you must play 2 RBs on your Fanduel lineups so we need to find solid value here to make our WR picks. Should you spend up or down at RB? Let’s take a look at the highest performing RBs so far in 2015. Looking at the table above, I notice that each week should provide at least 1 30 Fanduel point scorer. It is crucial that we nail this pick week by week. Each RB scored at least 2 TDs as well. We need RBs that will get plenty of red zone carries because it’s much harder to guess who will break a long TD run. How do we find these top scoring RBs? Let’s go over the scoring system then find ways to discover Fanduel value picks at RB. You receive 1 point for every 10 rushing yards your RB gains. Every top scoring RB gained at least 68 rushing yards so we cannot take risks on RBs with a low YPC (Yards per Carry). More NFL teams use a RB by committee approach by rotating the carries between 2 to 3 RBs. Avoid RBs with less than 10 carries because they won’t get the chance to put up big points. This is where you will make your big money. Every top scoring RB scored at least 2 TDs while 75% of the time they scored 3 Tds. 3 TD upside is a must if you want to win at Fanduel. This is a very important concept to understand. I made this mistake in week 4 by rostering Karlos Williams who only scored 14 FD pts. When everybody will play an obvious value, you should consider realistic TD upside. Passing catching RBs are valuable on Fanduel because they receive more touches and thus more fantasy points. Each of the highest scoring RB caught at least 1 pass for positive yards. Devonta Freeman has become a must play every week due to his insane high volume carries and receptions. Fanduel is a 1/2 PR site, meaning you get .5 points for every reception. This makes pass catching RBs less valuable than full PPR sites. It’s hard to predict fumbles, but there are worse problems when your RB fumbles often: he will get benched. Avoid RBs who put the ball on the ground. You can check ESPN.com’s Rushing Stats to see who fumbles the most in the NFL. Ok. So now we are looking for RBs who can score at least 2 Tds and rack up the rushing yards without fumbling. Here’s how we do it. Teams run the ball more often at home and when they are in the lead. If you play a RB in a tough road game where they will be losing early on, then they may abandon the running game and pass instead. Choosing RBs at home who are favored by Vegas is the safest strategy to follow. Touches is the bread and butter of high scoring Fanduel RBs. Rotogrinders provides RB touches by week to help you see who is getting the ball often. When RBs get carries within 20 yards of the endzone, they have a high chance of scoring. Use Red Zone Rushing Attempts to find good RB plays. Our floor for Fanduel rushing yards is around 70 yards. We need players that will consistently outperform this floor. ESPN.com Rushing Yards per game will help you avoid RBs who are very inconsistent and choose the more reliable RBs. Again, we want RBs who rack up the Yards per carry. ESPN.com provides Average Yards Per Carry stats for us. If you can roster a stud RB in a juicy matchup, then get him in your lineups! Rotoguru provides Fantasy Points Allowed to RBs to help us find these profitable matchups. Wide Receiver is a position with lots of upside. Of course, we all know that spending up at WR isn’t necessarily the best strategy. Looking at the table above, I am pretty shocked to see a small correlation between salary and Fanduel points. 50% of the time a $6000 or less WR performed as the highest scoring WR in 2015. It makes sense to spend a great deal of research on the WR position instead of plugging in the most expensive WRs (Julio Jones, Randall Cobb) without much thought. Another interesting trend is multiple TDs. Most of the top scoring WRs score only 2 TDs, meaning we should focus on red zone targets a lot. How do we find these high scoring WRs? Let’s take a look at the scoring system then find those stud WRs that you need to roster to win on Fanduel. While Fanduel is not a full PPR site, I feel high volume WRs are worth rostering for cash games. GPP tournaments are a bit different because if your expensive WRs don’t score twice, then you are screwed. 100+ yard receiving games is the gold standard for WRs. You roster 3 WRs so each player needs the possbility of putting up a large game. 4 catches for 50 yards won’t win you anything on Fanduel. So spend TIME focusing on players going against terrible pass coverages in a preferable position like an away game with a high Vegas total. Luckily, WR is the one position where you only need around 2 TDs to score a lot of points. 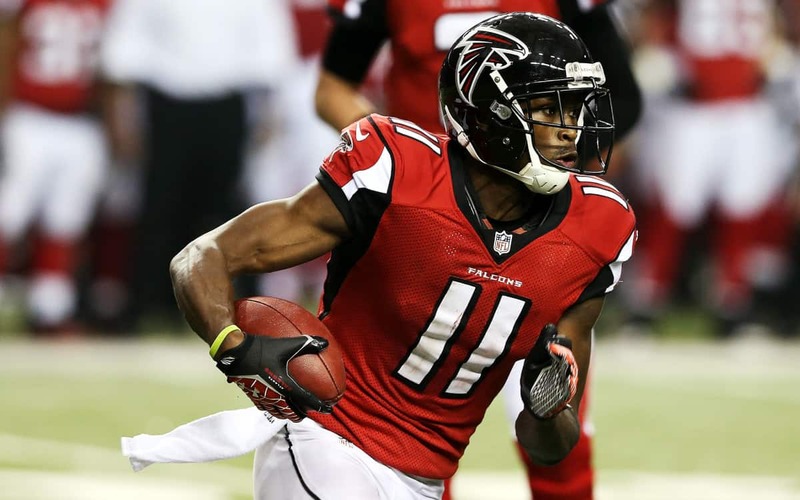 Red zone targets are very key to finding WRs with big Fanduel upside. WRs who return punts/kickoff have extra upside over normal offensive wide receivers. Now, you have a good idea of what to look for in a WR. You need receptions, 100+ and 2 TD upside. Let’s take a look at ways to discover these gems. The majority of high scoring WRs are playing in an AWAY game against a horrible pass coverage. It’s positive gameflow. Home teams love to grind out the clock with the run game. It’s too risky to throw when you are already winning the game. However, NFL coaches use a different strategy on the road. When the passing game works, NFL offensive coordinators will stick to airing it out or throwing short hitch passes. I recommend WRs in great matchups on the road. The next best thing is WRs at home with a slight Vegas margin, meaning the game should stay close. A Target is when the QB attempts to complete a pass to your WR. The more targers your WR gets, the better chances he has to complete a catch and score points. NFL Savant providers WR Targets along with completion percentage. YAC stands for Yards after catch. When your WR catches the ball, how many yards does he gain afterwards? Elite WRs can turn a short pass into a 50 yard TD. Target those players! ESPN.com’s NFL YAC Stats will help you find these players. A very simple stat yet often overlooked. You earn .5 points for every catch. Rotogrinders tracks receptions and touches in an easy to read format. When an offensive coordinator lacks confidence in the rushing game, he will call plays for his WRs in the red zone. Check out Red Zone Targets to see which WRs get the most targets within 20 yards of the end zone. My main advice is to pay for Rob Gronkowski if you can afford him. He is a beast and has scored at least 1 TD in his last 8 games dated back to last season. He and Tom Brady have great chemistry as well. However, you may want to spend down on TE in order to save salary cap. 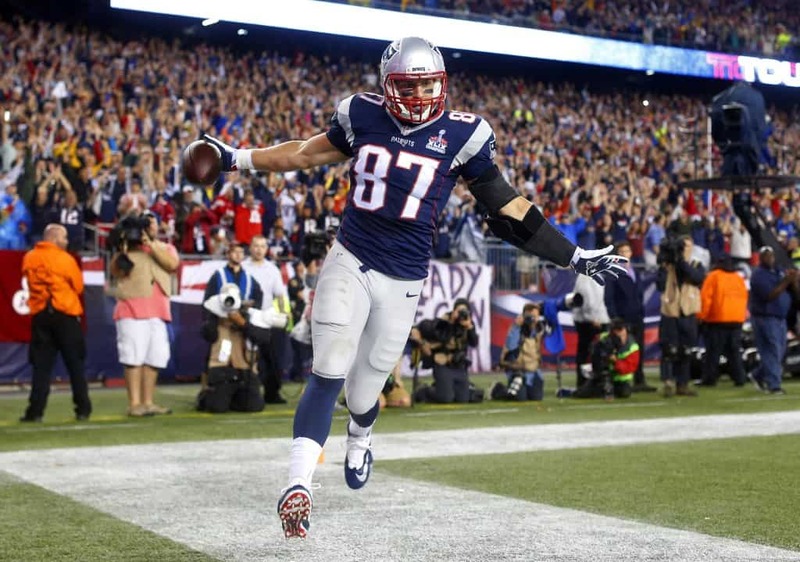 Let’s take a look at the top scoring TE’s in 2015 on Fanduel. How do we find these high scoring TEs? Let’s take a look at the scoring system then find those TEs that you need to roster to win on Fanduel. While Fanduel is not a full PPR site, I feel high volume TEs are worth rostering for cash games. GPP tournaments are a bit different because if your expensive TEs don’t score twice, then you are screwed. 80+ yard receiving games is the gold standard for TEs. You only roster 1 TE so choose wisely. TE is the one position where you only need around 1 TD to make value. Red zone targets are very key to finding TEs with big Fanduel upside. Multiple TDs are the target but we just had a down week across the industry where Week 4 Marcellus Bennett led all TEs on Fanduel with only 1 TD. Key matchups should be the focus for TE research. Let’s pick on the Raiders! 3 out of 4 top scoring TEs played against the Oakland Raiders through week 4. Any TE with a matchup against OAK is a top value play on Fanduel. A Target is when the QB attempts to complete a pass to your TE. The more targets your TE gets, the better chances he has to complete a catch and score points. NFL Savant providers TE Targets along with completion percentage. YAC stands for Yards after catch. When your TE catches the ball, how many yards does he gain afterwards? Elite TEs can turn a short pass into a 50 yard TD. Target those players! ESPN.com’s NFL YAC Stats will help you find these players. When an offensive coordinator lacks confidence in the rushing game, he will call plays for his TEs in the red zone. Check out Red Zone Targets to see which TEs get the most targets within 20 yards of the end zone. Rotoguru shows which teams allow the most Fanduel Points to TEs. I think kicker is the hardest position to nail on Fanduel week by week. They are so dependent on a good offense that gets into field goal range but fails to put TDs on the scoreboard. Let’s take a look at the highest scoring kickers by week in 2015. 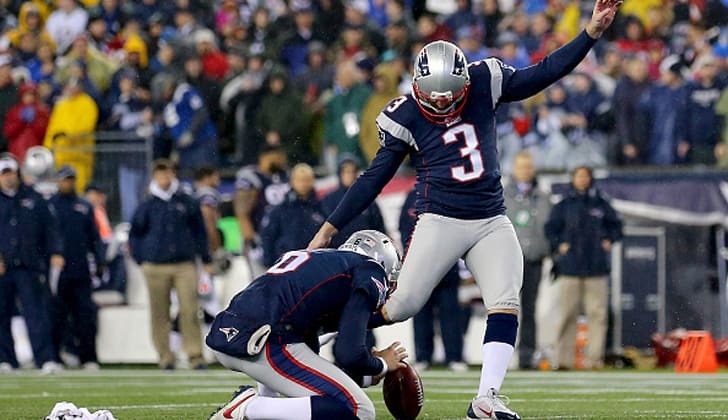 If you are going to spend up at kicker, then Stephen GostKowski is the high end safe play every week. New England has a high octane offense that get in the red zone very often. If you’re not spending up on GostKowski, then let’s take a look at the scoring system to uncover some great value kickers. Field goals are the quickest way to rack up points for your K. In fact, 50+ yard FG are almost worth twice as much as regular FGs. Target kickers with a strong leg and great accuracy. Extra points is nice, but we prefer FGs over XPs. Target kickers in a high octane offense that’s projected to score a lot of points. Some offenses are better than others because you want some exposure to kickers with high upside in GPPs. ESPN.com provides stats on Field Goals Made to help you find some kickers. Rotoguru sorts Fanduel points allowed to kickers. Picking a defense can be difficult depending on week to week matchups. The safest defense in the NFL is the Seattle Seahawks. So far this season, I recommend them as your default defense if you have the salary. Rotoguru lists all 30 NFL defenses by Fanduel points scored if you need help choosing a good defense. Instead of listing the top scoring defenses by week, I’m going to explain the scoring system in detail so you know which defenses to target. Defensive scoring on Fanduel is completely random and unpredictable. The variance is too great to find any trends this early in the season. Sacks are a valuable metric for choosing defenses. I like to pick on Quarterbacks that get sacked often and have terrible offensive line protection. Interceptions are twice as valuable as sacks so you should play defenses against a below average Quarterback. The holy grail of the defensive scoring system! Defensive TDs are a surefire way to soar up the leaderboard without getting any assistance from your skill players. They are hard to predict but some defensive score more often than others.